There are laws on the book governing how construction claims are handled in Florida. Some of these laws are unique to Florida, and others are common to a few states. Contractors and owners, who do not regularly build in Florida, are well served to familiarize themselves with these laws. Among these construction laws is the law permitting limits on liability that may fall on design professionals. Florida and other states require that building owners provide the contractor notice of any defects 60 days prior to filing any legal action in court. Most interesting, parties have the ability to release applicability of these laws when contracting Florida. 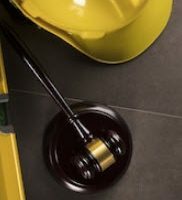 Florida Statute 558.0035 permits design professionals to limit their liability in the performance of their work in relation to a construction project. These professionals include architects and other professionals involved in the designing of various systems and aesthetics of the given structure. This statute, however, does not provide for a blanket limitation on liability. The statute requires specified requirements before it fits within the statute. The statute provides that design professionals who do work as an employee of a company are not individually liable for damages that result from negligence. This is the case only where the following also exists: (1) the design professional employed by a design company, (2) the parties to the contract are the claimants and the design company, (3) the design professional is not named individually on the contract, (4) the contract includes a statement notifying on the limitation of liability, (5) the design company has professional liability insurance, and (6) the damages in question precludes any personal injury or other damages that are not subject to the contract. Florida is among about thirty states that have enacted laws requiring an owner to notify a contractor of a defect in order to give the contractor an opportunity to repair. According to Florida Statute 558.004, an owner who has a claim against a contractor can serve notice of claim on the contractor and request repair of the defect. The owner must serve notice at least 60 days before filing any action in court. A claim involving an association representing more than 20 parcels have 120 days to serve the same notice. The notice of claim must be detailed and describe the defect or issue with specificity. There is a fine distinction as it comes to when notice if filed. The claimant must file within 15 days of discovery, but 60 days before filing in court. Within 30 days after service of the notice of claim, the contractor must perform an inspection for verification purposes. Attorney Brendan A. Sweeney is an experienced construction law attorney with years of experience advising on contractual obligations for both owners and contractors. He has extensive knowledge of Florida’s unique construction laws. Contact us now for a consultation.